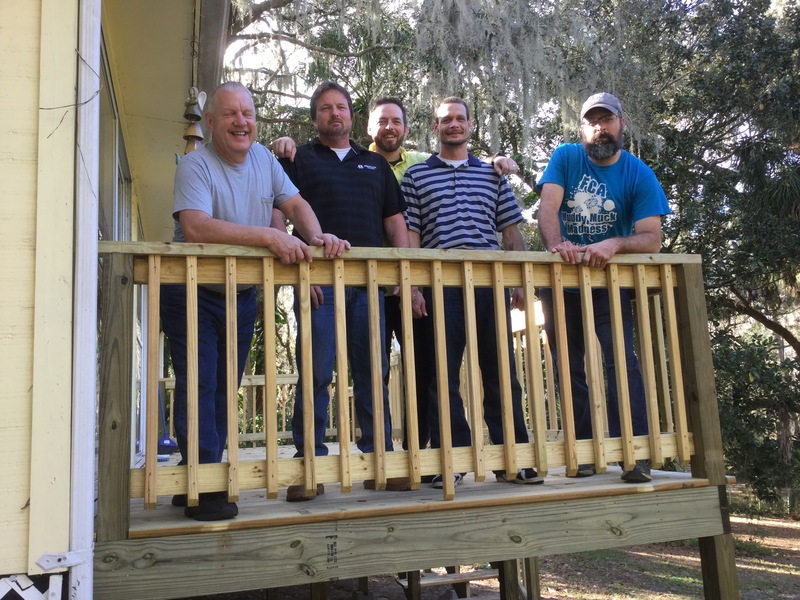 These five men totally transformed the outside of the SOS Events office buildings in 4 days. Not only are they hard workers but dedicated Christians. They are standing on the new deck that doubled the size of the space we use for meetings and workspace when needed. Thank you (from left to right), Arnold, Patrick, Pastor Jonathan, Kevin and Jerry. Praying for a safe trip home to Appomattox, VA today. This entry was posted on January 14, 2017 at 12:12 pm and is filed under blessings, Email: info@sosevents.org, Event Activity & News. You can follow any responses to this entry through the RSS 2.0 feed. You can leave a response, or trackback from your own site.